Located inside the Museu Nacional d’Art de Catalunya – a mightily impressive palace on a hill – there probably aren’t many restaurants with better surroundings than Oleum. You’ll find it on the first floor of the museum, in what was once the palace’s throne room – a large, airy space fronted by a large floor-to-ceiling window that offer spectacular views of the cityscape below. 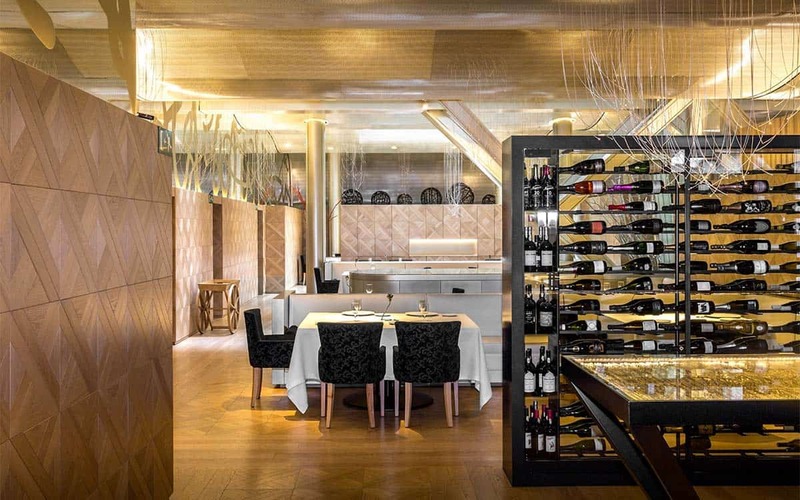 Quality wise and the restaurant’s menu has been designed by Fina Puigdevall, a celebrated Catalan chef whose Les Cols del Olot restaurant has garnered two Michelin stars. Order a plate of Oleum’s mouthwatering scallops, and peruse their specialist vermouth for something to wash them down with, from one of their coveted tables by the window. Given the location of the restaurant, it’s the perfect place to dine after visiting the romantic Magic Fountain attraction.